Consists of 1 pair of BootDoc's Power Fit Socks integrated with Hotronics Heating Elements. Hotronic XLP ONE Heating Unit Sold Separately. 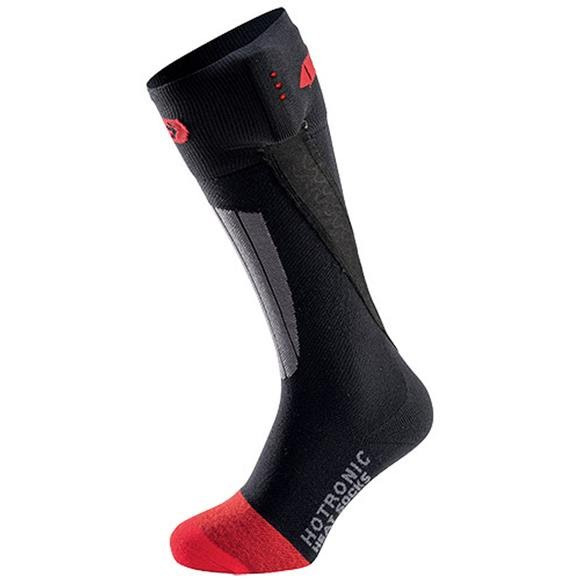 Consists of 1 pair of BootDoc&apos;s Power Fit Socks integrated with Hotronics Heating Elements. Hotronic XLP ONE Heating Unit Sold Separately . The Power Fit Index (PFI) indicates the overall level of gradual pressure distribution woven into each pair of BootDoc&apos;s Power Fit Socks. PFI 30 designates a gentle pressure distribution while PFI 90 classifies as strong and is therefore only found in BootDoc&apos;s performance series.